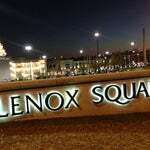 Lenox was the 1st major shopping mall in GA and opened in 1959. Rich's was one of the original anchor stores and was founded by Morris and Emanuel Rich (both Oakland Cemetery residents). 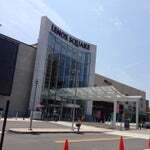 "Y�all just don�t get it, a crib with no tenets,walk through closets like I�m walking outta Lenox" - Diamond (Ludacris) "My Chick Bad (Remix)"
Lenox Square has nearly 250 specialty stores - shops like Anthropologie, BCBG, Bobby Jones, Burberry, Brooks Brothers, Calvin Klein, Cartier, David Yurman, Louis Vuitton, Kate Spade, Kiehl's. Shop a lot n save money. Nuff said. Go to the Apple Store, SHHHHHHHHHHH! Don't tell anyone, but they will let u surf the net on their computers 4 FREE! If you read this message! Buy Me A Shirt! I wear a Medium. Thanks!!! 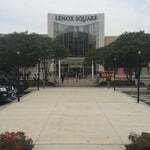 Aint nun like Good Ole Lenox Mall!!! #DamnIGottaComeHomeASAP!!!! 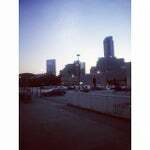 Park by the lot under Bloomingdales for fast entry and always find a spot. Shop and see a famous person or two! Duck under the 170-foot tent and ride the Pink Pig, an Atlanta tradition for over 50 years. 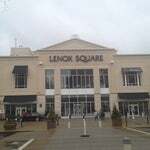 Welcome to Club Lenox...we accept hoodrats, chickenheads, fairies, major queens, groupies, and foreigners...we don't judge...however...the jokes will come later..somehow fake VIP's still get in..
Don't forget your credit card!! There aren't that many gay guys here. Shop at Perimeter instead. Do som shopping while you're here! The Pink Pig starts today!!!! Go now! Ride the Atlanta tradition!!! People watching/Star stalking...I met Chaka Zulu at Sunglass Hut! I see more people shopping for what the stores and kiosks are not selling. 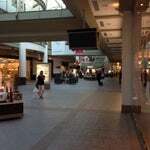 Glad the mall has WiFi, but it does not work well when on the move from store to store; hopefully, they will fix this issue ASAP as mobile phone signal issues persist throughout! Park at the very top deck near Macys. You can get in and out of the mall easily. I always park upstairs by bloomies, very low maintenance. Best place for lunch is Corner Bakery! They have a Lacoste and a Apple store in the mall. 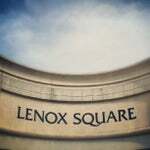 Lenox is definitely the best mall in Atlanta. Also, fireworks every New Year's Eve! Check out Urban Outfitters! 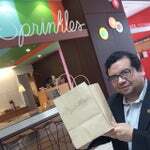 Best store in the mall! Its a great place to chill & pick up some cool gear. 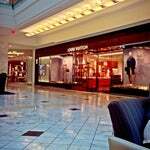 Atlanta`s most popular shopping mall!!! Great Mall! Great Store Selections! I've had best luck parking at the end of Macy's! Best mall I've EVER been to! 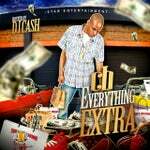 High-end designers all over the place!! Took us all day to get through! Cannot wait to go back! Wow! People even get arrested and sent to the Pookie! That's Badass! The mall directory has a chick fil a coupon in it. Save a little $ while you're here! This mall is perfect for everyone. You can find what you need. Comfortable environment and friendly workers. Make sure to check in to see sales! Get ready for some serious people watching. The best place to get a one of a kind outfit for any occasion !! Lots of upscale shopping, so bring your wallets and purses!! Nothing better than Lenox Mall on a Saturday afternoon. It should be a weekly ritual. Parking in the Bloomingdales or Macy's deck is always quickest and easiest. Unlike phipps plaza an average person can shop here. If you're going with girlfriend, avoid Forever 21. Hell for us guys. 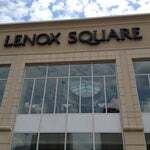 Just had dinner at lenox square grille and it was great. Shop Betsey Johnson upstairs across from Hollister. Great non traditional looks! Giving the middle finger to your trends! Pow! Check out Chads all the stores. If you can't find something in this mall you haven't looked hard. Bout to Hit Lenox. I need a couple par of shoes and this is the best place to be! Wear sweatpants and the kiosk salesmen won't bother you! Hurry in now to ride the Pink Pig with no waiting. 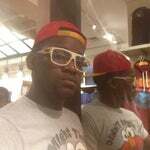 check out Sunglass Hut. They have the best styles in right now! This is the starting point of the annual Peachtree Road Race. It's also one of the largest 10-kilometer races in the world. 20% OFF ALL CONDITIONERS!! : Try the Monoi Conditioner! It stops 96% of shedding and breakage! Don't come without any money ????? Avoid the Starbucks in Macy's. Service is slow as molasses! Shop until you drop, then get back up and shop some more! Avoid this place during the weekend. This is my favorite book signing location. Use the restroom at Neimans upstairs by the formal gowns. Don't risk your health at any of the other ones. Great mall! Almost every shop you must see! Lots of top name stores you won't find in an average mall! Across the street from the Lenox MARTA station on the gold line (Doraville) and one of the top five things to do in the area! Nice mall if you like being herded like cattle; too crowded. Good range of stores but quite expensive sometimes. 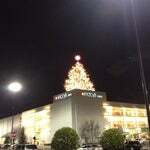 Definitely one of the best malls in the area by far, and would say that should definitely check it out if in the area. got mine. four square perks! Upscale mall with tons of stores - be prepared to walk a lot. Right across the street from the train stop if you prefer not to drive. A mad house during any peak hours you could ever imagine. Less expensive than Phipps, also a bit more of a selection. Stop by the Coach Store. Absolutely amazing! Be sure to check in at the greyhound laying down. The mall where a Bentley a Ferrari an El Camino and a Toyota all sit together and you would never be able to guess who drives what. Imagine the closet of your dreams - if money were no object you could fill that closet here. Every luxury brand under one roof + Macy's, Neiman Marcus and Bloomingdale's. Bring your self-control. One of my favorite places to shop in the world. Been here a few times and I definitely like the store options. If you have some time on your hands then stop by the Microsoft Store and check it out. Lots of cool tablets and things to play with! Hands down some of the best shopping in the South! Grab a bottle of Fontis Water and let the fun begin! This place is one ole hot ghetto gay mess. Godiva's chocolate it's the best!! The layout here is a little confusing; download the PointInside app for iPhones so that you know where you're going. If you're going to Lenox to visit the Apple Store, go early. Especially if you need to hit the Genius Bar. Forgot a tie? Need a Cartier watch or Prado bag? This is the place to go. Take Marta to Lenox and you are there. If you need even more class, check out Phipps Plaza across the street. The mall is great, but the traffic is horrible. I can't justify the hour it takes to turn into the parking lot. Try the apple store....great customer service!!! Apple Store. 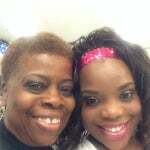 Macy's and Carols Daughter is the reasons i go. 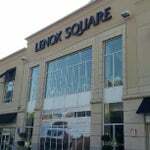 Crate and Barrel is moving to the Shops Around Lenox, store opens on Thursday March 29th 2012. Most mall snacks are loaded with excess calories. 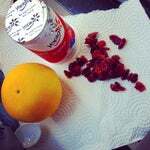 Try these healthful snacks to fuel your power shopping. Glow in the dark nail polish at forever 21 for all you ravers out there! T-Mobile is having a Super Sale 12/17-12/18! 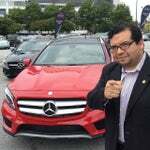 See a sales associate for details! Stay upwind of the fireworks. The debris can be bad. Great place to shop, eat and people watch! Valet service available. Big mall and great shopping... Loved it! Drinks at the Lenox Grill are ALWAYS $1.95!! Try Hovan in the Food Greek...amazing Mediterranean fare. So yummy - and then been there since I was a kid!! Fireworks still on? Scheduled for 9:40. We shall see. Check out the annual Simon Fashion Now event in the springtime for runway shows, fresh fashion tips, and lots of great giveaways! Check out Simon Fashion Now in the spring for runway shows, spring fashion tips, and great giveaways! 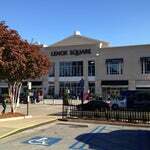 The Best mall to shop with variety in Atlanta one stop shop!!! One of the best shops is TOUS a really unique Spanish designer. Their stuff is really exclusive so if you get something there you know no one else will have it. Try going to the Apple store and jailbreaking the iphones and ipads. Good times. 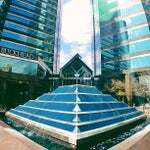 o melhor shopping de Atlanta! Great variety of places to shop at but Wish this mall had an H&M then I'd never have reason to go to another.